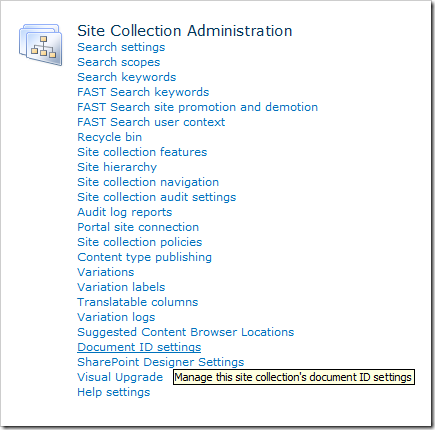 Just go to site collection features and enable Document ID Service feature. 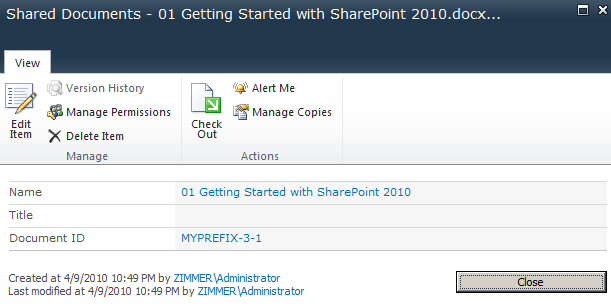 Once this feature is enabled, you will see configuration link in Site Settings. And finally, when you upload any document to any of the document library in site collection, you will see document Id is automatically assigned to the library. You must be thinking what is so good about this? 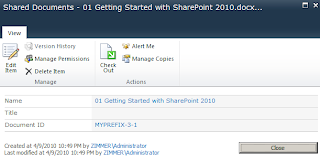 DocumentID service provides a web part to search any document by ID. You can place that web part in home page and anybody knowing(or not knowing) documentId that they are interested in can directly go do document whithout navigating site hierarchy. 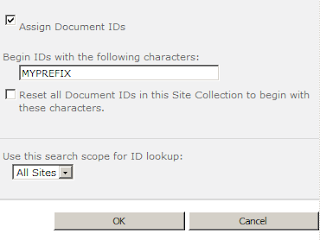 In case of multiple results list of documents will be displayed. 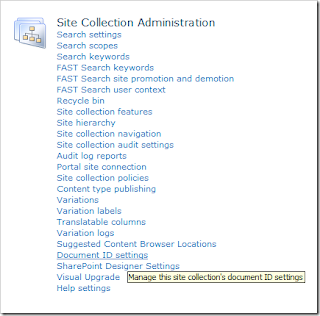 This will work at site collection level for any document in site collection at any level deeper in site hierarchy. 2.Tobias Zimmergren's blog This blog presents much more details than what I copy pasted above! It is more than enough to know whatever you know as an analyst, programmer, tester or administrator.